If you’re involved in user experience design -- be it as a web designer or a software developer -- you’ll know that identifying and fixing problems is easier and cheaper if it can be done earlier in the process of design and build. As work on a project progresses, so the effort involved in making any changes increases. If you can test out early ideas, via prototyping, then you can quickly identify whether those ideas are going to work. 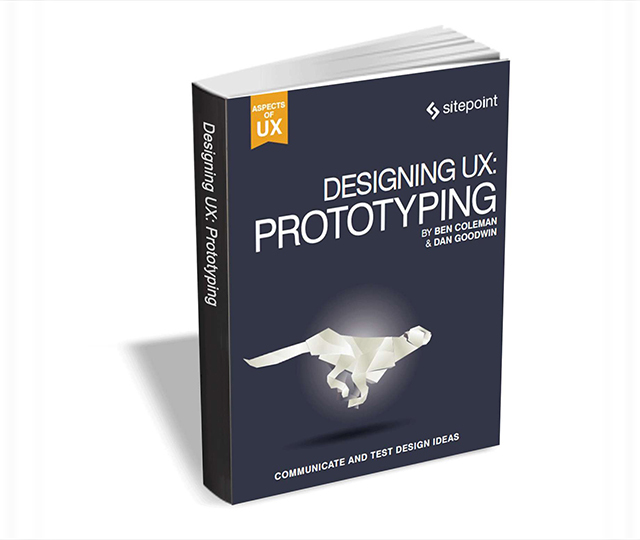 This great ebook from SitePoint -- which usually retails for $30 -- will tell you everything you need to know about prototyping. With easy-to-follow, practical advice, it will explain how to use a number of different techniques. It’s aimed at beginner-level UX professionals, web designers, and developers who want to get a practical introduction to prototyping. No prior experience is assumed. To get the book for free, go here, enter the required details, and click the Download button. The offer expires on June 26, so act fast.